“Sanremo è Sanremo”: a payoff to the point of populism that speaks about our being Italian. But it is true. Sanremo will always be Sanremo, and, that we like it or not, everybody talks about it... especially online! The first basic effects of media communication were witnesses since Nilla Pizzi, that with her historical “Grazie dei fiori” won the first Festival and got into our houses, in the days when a stranger was not welcome after dinner. Today, TV personalities are also the stars of the Web and of social networks. We at Velvet know that, due to our proximity with the spotlight, since we see to the social network pages of personalities such as Simone Rugiati and Roberto Farnesi. TV cannot do without social networks, and vice versa. 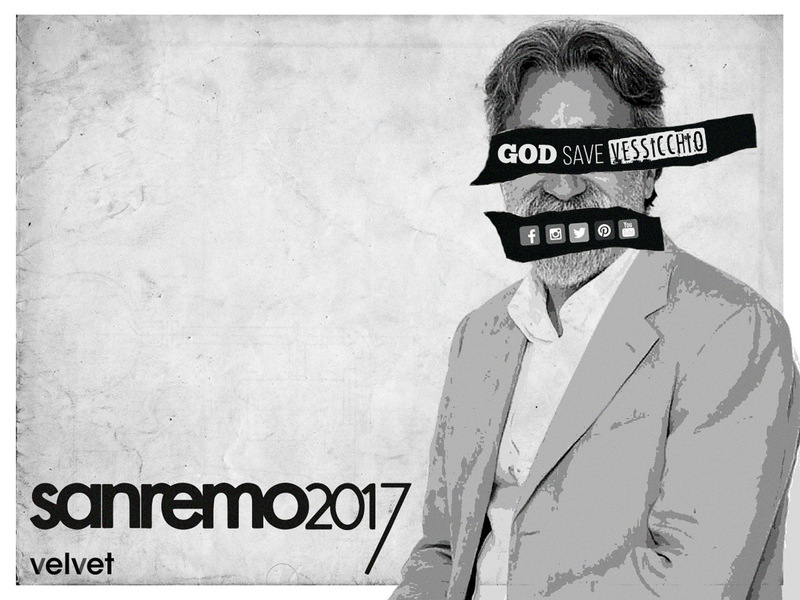 Even Sanremo is leaving behind its vintage aura, by renewing itself and bullying its way into the Web. The Web is full of conversations centred around the Festival, as never before. It is no accident that the Festival starts with interviews and social media, with a slideshow of clips where the singers tell their stories, their fears and their desires. An example of digital storytelling aimed at telling the truth. The artist strips off his role by showing the social image. The close up on his face, his story in the background and a tweet or video as a slice of truth. Sanremo renews itself by focusing on social media. The Web rewards this choice and reacts decidedly. The formula “couch & Sanremo” has become obsolete, and the audience groups move from living rooms to chats. A virtual talk sparks, allowing the protagonist to interact with the audience who is anything but passive. The singer twits, the Web answers and a crossmedia dialogue takes shape, shattering the TV screen. Hashtags don’t leave much to the imagination and there is no shortage of side phenomena: every media event has at least one! The catchphrase draws attention and is engraved in your mind as the notes on old vinyl. This year the Web was focused on the mystery of Vessicchio: where did the Maestro go? The Web is torn up, Beppe went AWOL. #uscitevessicchio floods social network, along with images, gifs and real time marketing actions based on newsjacking activities that would make Scott extremely proud of the made-in-Italy. The most interesting one? Montenegro! But we will discuss about this tomorrow.